Cowles Auditorium is the university's center of theatrical and performance-based endeavors and is one of three buildings on Whitworth's campus that bears the Cowles family name. Specifically the auditorium is named after William H. Cowles Sr. and was dedicated in February of 1956. The architects of the building were Edwin Molander and Johnson Funk. William H. Cowles Sr. arrived in Spokane from Chicago in 1890 when he was 23 years old. He had served as a police reporter for the Chicago Tribune. 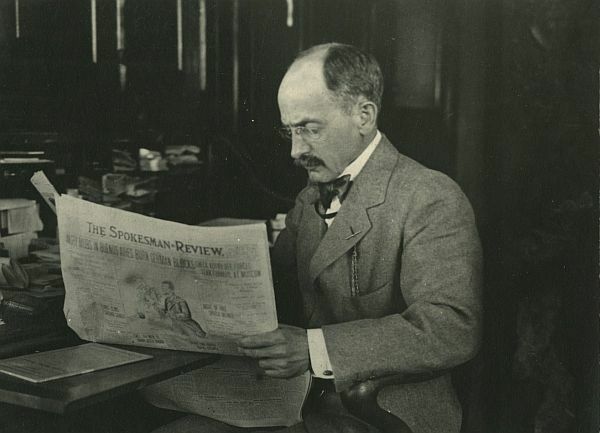 During the panic of 1893, he gained ownership of the Spokesman as well as the Review, the city's two major newspapers. He merged the two into the Spokesman-Review which still serves the city today. Four years later he bought the Chronicle, another newspaper eventually merged that paper into the Spokesman-Review. Cowles emerged as a civic leader and active voice in Spokane politics. He continued to make various real estate investments and help develop other companies including the Inland Empire Paper Co.
Cowles played a significant role in persuading Whitworth trustees to relocate to Spokane in 1914. He and his family continued to support Whitworth with major contributions to the library and to the music facilities. Cowles Auditorium holds two stages. The main stage of the auditorium upstairs has 1,100 seats in which Whitworth's esteemed musicals take place. This auditorium also provides a venue for plays, convocation, concerts, and movies. Stage two is in the downstairs area of the building. This stage hosts improvisational theatre and short plays throughout the school year in addition to providing a space for acting, as well as dance recitals. This stage is fashioned after an amphitheater and contains seating for 175. In addition to all of this, the building also houses offices for the Theatre Department and a lobby for displays. Cowles Auditorium once held a "class" referred to as "Forum". For one-quarter credit, students attended speeches and convocations throughout the year to discuss important issues. Many students enjoyed Forum, but others thought that there was not enough incentive with sometimes only half of the student body attending. Many famous guest speakers and performers have stood on the stage of Cowles Auditorium, but none more famous than John F. Kennedy. On February 11, 1960, while running for president, Kennedy delivered a campaign speech. 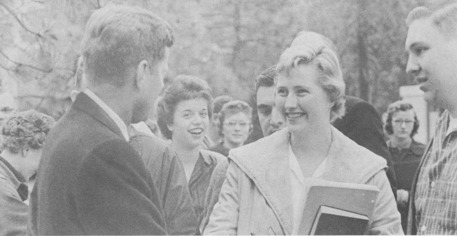 The Whitworthian's headlines read "Kennedy appears here." The campus and the students were abuzz with excitement during, and for a significant time after, the visit. Adam Gaines, “Cowles Memorial Auditorium,” Spokane Historical, accessed April 20, 2019, https://spokanehistorical.org/items/show/777. Gray O, Alfred. Not by Might: The Story of Whitworth College 1890-1965 (Spokane, WA: Whitworth College, 1965). Whitworth University Archives, Whitworth University Library. Cowles Memorial Auditorium, 1956-Building/Building Dedication.